Email askfuiping@gmail.com to buy Shuang Hor Lingzhi to prevent blood clots. Heard of DVT (deep vein thrombosis)? It's a blood clot that forms in the veins of your leg due to prolonged inactivity during long airplane flights. It becomes life-threatening when that clot breaks off (embolism) and travels to your lungs or heart. It is normal and necessary for our blood to clot. However, it is not normal when blood clots (thrombi) form within our large veins. This is called venous thromboembolism (VTE), and can be dangerous. It's estimated to be the 3rd most common cardiovascular disease after heart disease and stroke. Immobility, prolonged periods of sleeping, sitting or standing. Long journeys. The extended period of sitting still is exacerbated by the lower pressure in the plane's cabin, and consuming excessive alcohol and caffeine, which can cause dehydration, making the blood thicker and making it move more slowly. 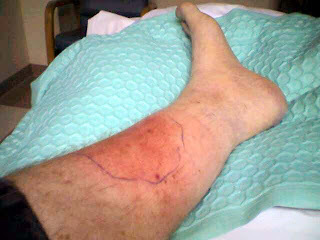 Swelling and a sensation of heaviness in the leg, particularly when you've been standing. If you press your finger onto the affected area, the pressure from your finger will create a small dent for several seconds. Since the signs and symptoms are not specific and hard to distinguish from other conditions, it can be easily overlooked or misinterpreted, resulting in delayed diagnosis. The treatment should aim to thin your blood, stop the blood clot from getting any bigger and prevent the clot from breaking loose. Have to be hospitalised for 5 days as warfarin takes several days to work. Compulsory to take the medication exactly as instructed and adhere to strict diet, as warfarin interacts with other drugs and foods. Have to go for regular blood tests as heparin and warfarin can have serious side effects. Overdose results in increased risk of bleeding. Taking too little risks getting additional blood clots. Have to take warfarin for at least 3 months. A Safer and More Convenient Option..
Scientific researches have shown that Lingzhi (or Ganoderma) can decrease the possibility of thrombus formation. It can increase the blood fluidity and improve the circulation of blood in our body. 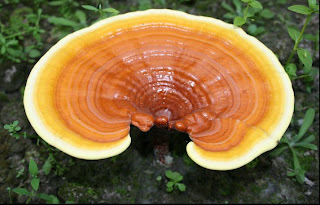 Click here to discover the Effects of Lingzhi (Ganoderma) on High Blood Pressure and High Cholesterol. You don't have to observe a strict diet. There is no requirement for regular blood test. There is no side effects at all and you don't need to go to the hospital. That is why I strongly recommend Lingzhi and encourage you to understand more how this natural herb works. Email me at askfuiping@gmail.com if you want to switch from warfarin to Lingzhi. Discover the difference.